Keep your favorite athlete active with the Athletic Loofah Dog Toy Combo! 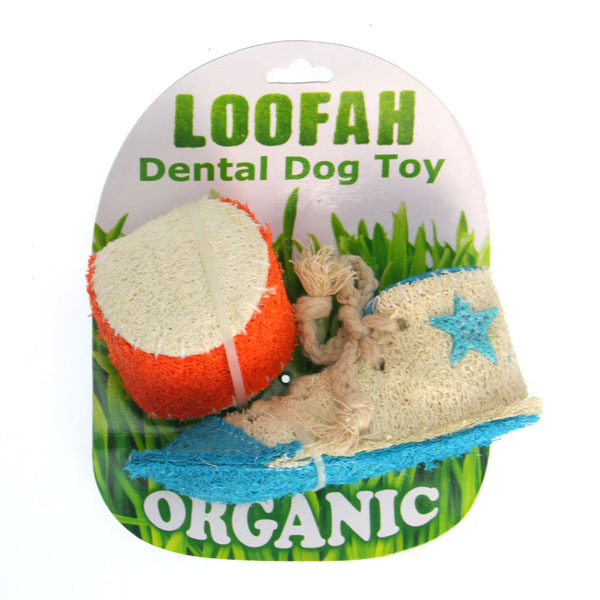 The Athletic Loofah Dental Dog Toy Combo by Hip Doggie is a 100% vegetable chew toy that your dog will love. Your pup will love this all natural loofah toy's meat flavor. 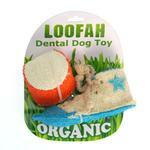 certified organic, the Loofah toy is natural floss that improves your dog's dental health. This looked like a terrific idea, until my dog started playing with it and had it chewed into pieces in fifteen minutes. Posted On 12/13/15 by Bonnie B from Knoxville, TN Yes, Bonnie B recommends this product! For a chewer, these loofahs are the best things since smelly bully stix. It takes her forever to get through one..maybe 2 weeks. Her favorite chew toys are these loofahs. Posted On 12/08/15 by Julie M from Decatur, IL Yes, Julie M recommends this product! My dogs love to play with these loofa toys and they are not easy to please. It is great for their dental health as well. Highly recommend. I am so glad I found this site! TONS of neat things! !